From managing a requisition through reference checking and onboarding, learn what you need to know to fill new or replacement positions or temporary hiring needs. Find orientation information, onboarding guidance, and checklists that help make a new employee feel welcomed and ready to succeed in their new role. Get to know UW’s Professional & Organizational Development group (POD). Explore upcoming offerings, tuition exemption, and related policies. Explore consulting services, tools, and resources for individual, team, or organizational excellence. Show your colleagues how much you appreciate their hard work and service. At the UW, passion never rests. 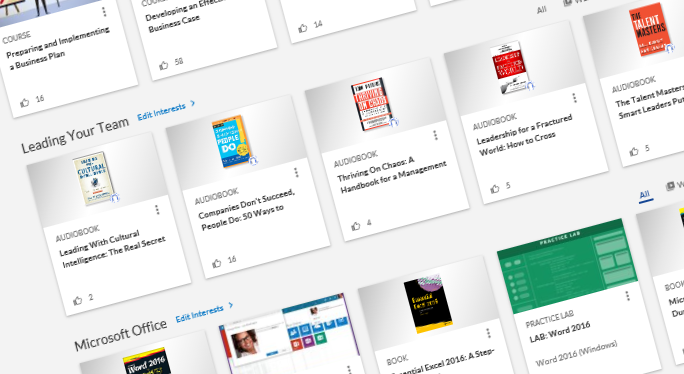 Curated content for UW leaders, including toolkits and planning resources, best practices, microlearning modules, and more. Learn at your own pace with this highly immersive online platform featuring content curated into dozens of channels and presented in a variety of formats. Mentoring is a unique relationship that focuses on your needs and takes you out of your day-to-day activities to plan for your future, strategize how to achieve your goals, and overcome obstacles. The cost-effective option for UW's temporary staffing needs. Let UTemp recruit, manage payroll, and complete all monitoring and administration requirements for your department’s temporary staffing needs. Our knowledgeable employees, innovative tools, and integral services support recruitment, hiring, staffing, onboarding, employee development, organizational development, recognition, and retention. We embody an integrated talent management framework, providing a holistic approach that enables us to assist and advocate for managers in their work to hire, support, and develop employees.